Tales from a Pale Blue Dot: What in the Sam Hill?! What in the Sam Hill?! If you're older, you've probably heard the expression that is the title of today's post. It's an expression of surprise or confusion. 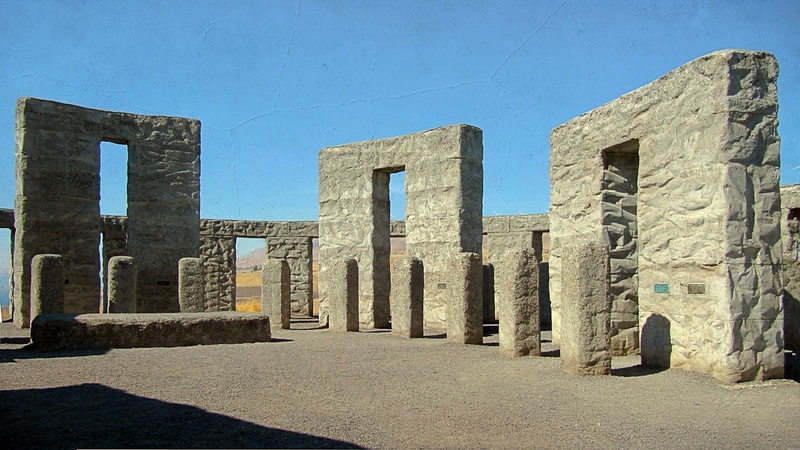 It's probably the expression that you would use when you discovered this full-size replica of Stonehenge in eastern Washington State. And it was built by... Sam Hill. Sam Hill was an American businessman and railroad executive who lived in Washington State at the turn of the 20th century. One of his legacies was this monument near Maryhill (named after his wife) meant to commemorate the American soldiers who had died during World War I.